This was my team. 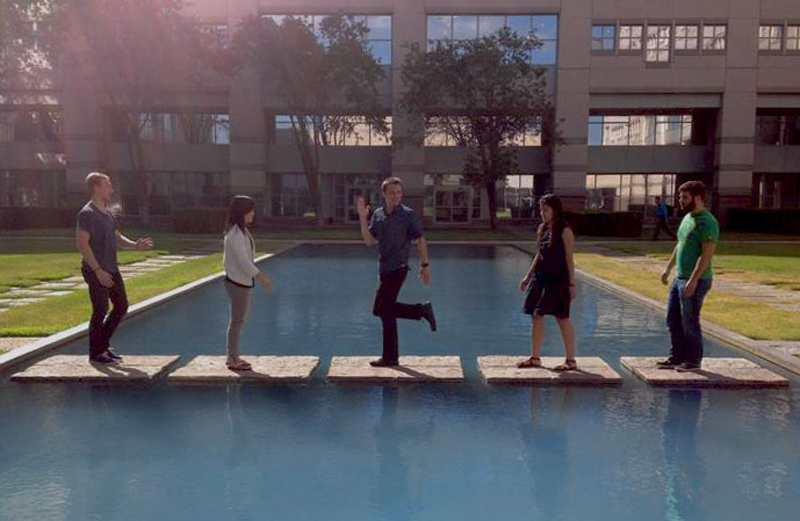 2 researchers, 2 designers and I was the front-end developer. Even with different titles, we shared most tasks. I'm the one in the middle. The project was green field. As a team of interns we decided the direction to take with the prompt of applying internet of things technology to the insurance space. We pursued the auto insurance sector. Research was an integral part of our project. We researched the ecosystem and its players, both people and technologies, throughout the internship. We conducted interviews of people within IBM, at insurance agencies and people holding auto insurance policies. 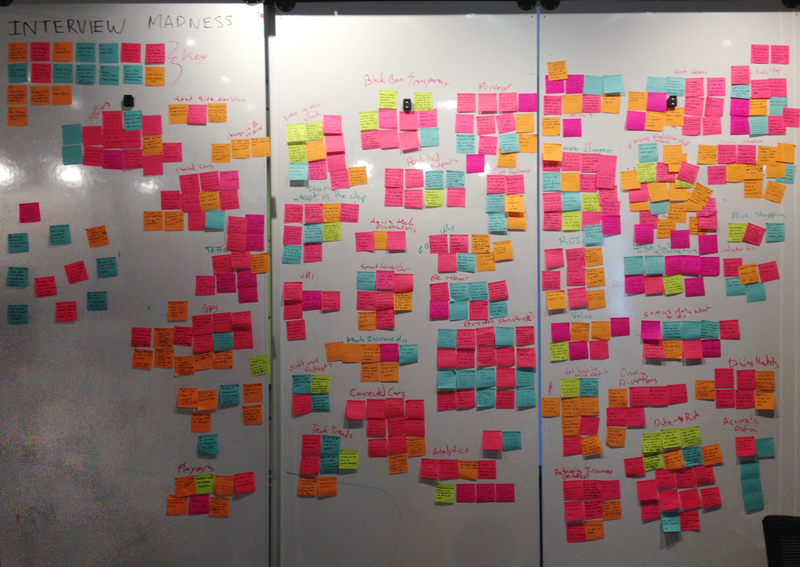 After initial research and interviews we crafted personas and empathy maps for 4 people within our ecosystem. Further research of our personas' relationships and pain points allowed for development of hills, or goals, that needed accomplishing. We ideated analagies for various aspects of our project and applied these to help generate general and specific solutions. We developed 'as-is' and 'to-be' stories that helped our audience connect with the personas and visualize how things are versus how things will be with our solutions. Presentations (playbacks) were an integral part of the internship, so we prepared accordingly. 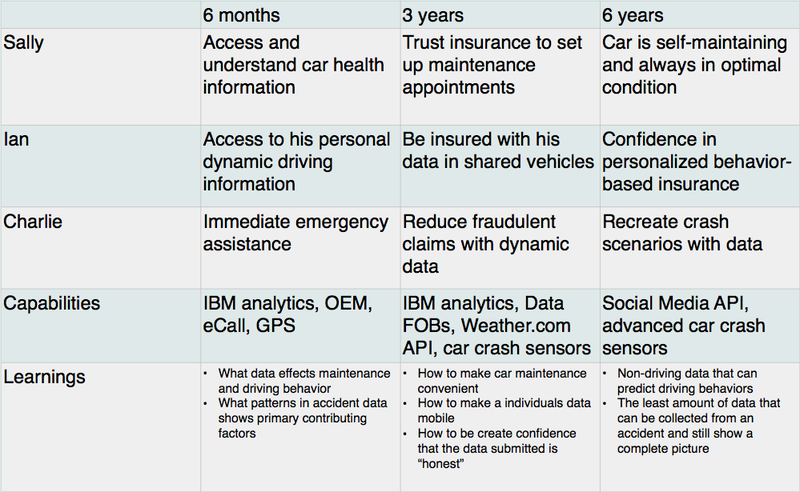 These mockups show the progressive iterations of the driver's insurance dashboard. These screens are the mobile dashboard for insurance policy holders. 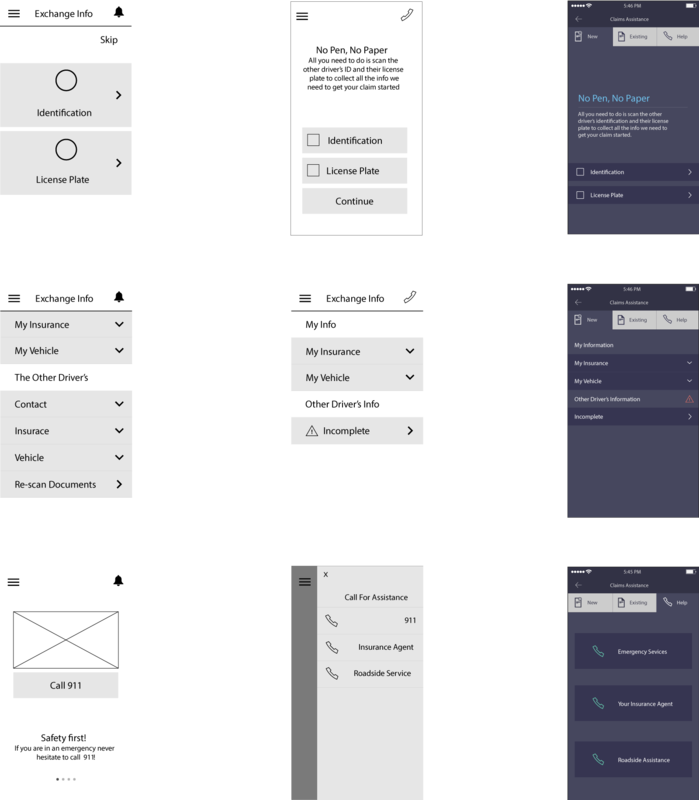 These mockups show iterations of the mobile claims component of our solution. These mockups show the insurance agent's dashboard. This roadmap helped our audience and the IBM vertical team, who took over the project, understand our goals and expectations.